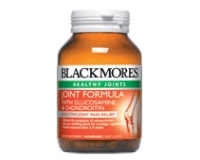 The ingredients in Blackmores Joint Formula with Glucosamine & Chondroitin are important for the maintenance of healthy joints, cartilage and bone. Osteoarthritis is characterized by joint degeneration and loss of cartilage. As we get older the ‘wear and tear’ effects of everyday life may cause degenerative changes in the cartilage, making it more susceptible to breakdown and damage. Ageing decreases the ability to restore and synthesize normal cartilage. Glucosamine is a natural component of the cartilage matrix and synovial fluid. It is a major building block of the substances that together with protein form the structural units in cartilage. These structural units, called aggrecan, are important for the elasticity, resilience and shock-absorbing properties of cartilage. Supplementary glucosamine can be an important source of this vital component of cartilage as we age, supporting normal cartilage function and joint mobility. Chondroitin, like glucosamine, is a natural component of cartilage. Chondroitin and glucosamine appear to work together in the synthesis of cartilage. Chondroitin is also involved in the lubrication and nutrition of the joint, and helps the joints to resist compression. Manganese and boron are minerals which appear to play important roles in joint health. Manganese supports the production of cartilage and bone. Boron plays a role in the chemical make-up of bones and joints. 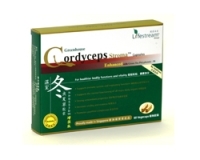 This product contains an ingredient derived from crustacean shells. Persons who are allergic to seafood should exercise extreme caution.